Hotel Venus Delux is a budget-friendly hotel situated on DB Gupta Road in Paharganj. Qadam Sharif, St. Anthonys Catholic Church, Gurudwara Bangla Sahib, Jantar Mantar, Feroz Shah Kotla Stadium, and New Delhi Railway Station are some popular landmarks near the hotel. 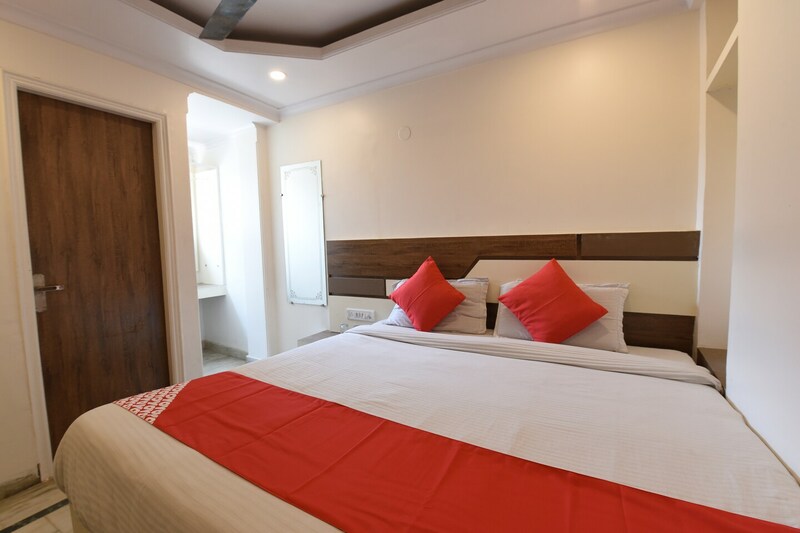 The rooms are simply furnished and come with a queen sized bed and amenities like Wi-Fi, TV, AC, and en-suite bathroom. The area is known for its eateries like Cafe Vagabound, The Indian Grill Restaurant, Haldiram, and Spooky Sky. Also near the hotel are popular markets like Paharganj Market, Connaught Place, Chandni Chowk, Janpath, and Shankar Market.